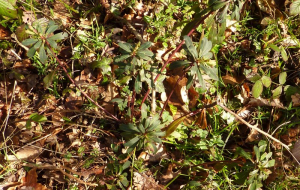 Observation - Wood Spurge - UK and Ireland. Description: Euphorbia species growing in woodland. Euphorbia species growing in woodland.